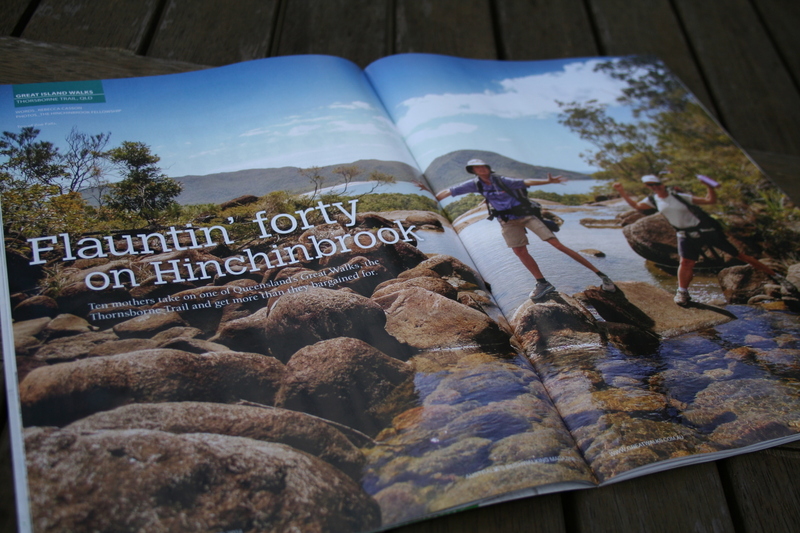 Do you remember when Bec C and I hiked Hinchinbrook Island last year with 8 other girls? The whole expedition was in celebration of Bec C’s 40th birthday. Bec blogged about her preparation (or lack thereof) in the lead-up to the adventure here. We did the hike. Then I blogged about our experiences here. Sometime later, Bec put pen to paper (figuratively speaking) to document her reflections on the hike and submitted the resultant piece to a number of publications. It turned out that Great Walks liked what they read and agreed to publish her. So that is how I come to appear in my first centrefold. Thanks Bec C! Actually, don’t look too closely as my face is pretty contorted. Despite the facial expression though, I was having a ball. I mean, just look at that view. Meanwhile, I’ve been back at home for 2 weeks after our 6 week overseas trip which included a fortnight in Brazil. We then had a month in the States, and it was, as they say alot in the US, awesome. It’s taken me the full 2 weeks to slowly peel open the seal of the can of worms that is reality. Today I returned with gusto. I have prepared a very long to do list and my time starts now. Writing more regular blog posts is on that list, so I’ll return shortly. 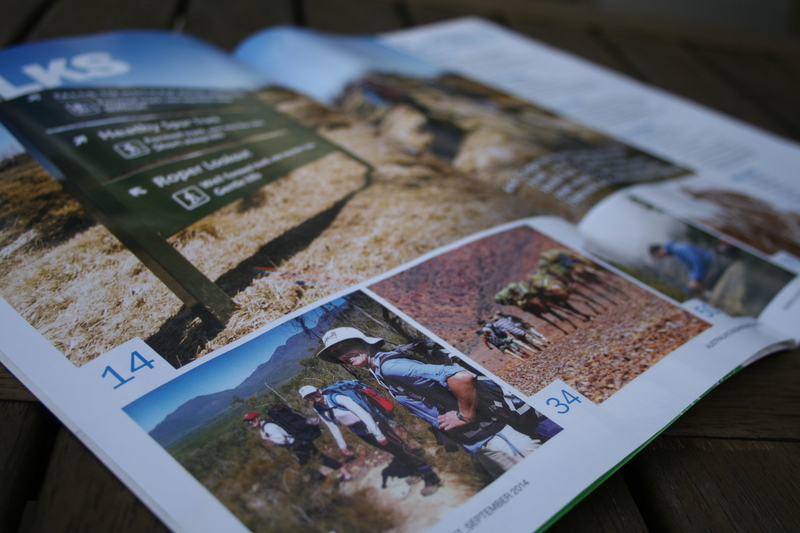 Until then, if you fancy sitting down to enjoy a cup of tea with a magazine, grab yourself a copy of the August / September edition of Great Walks. Turn to page 22. I know, shameless self-promotion. But hey, it’s not something that happens every day. 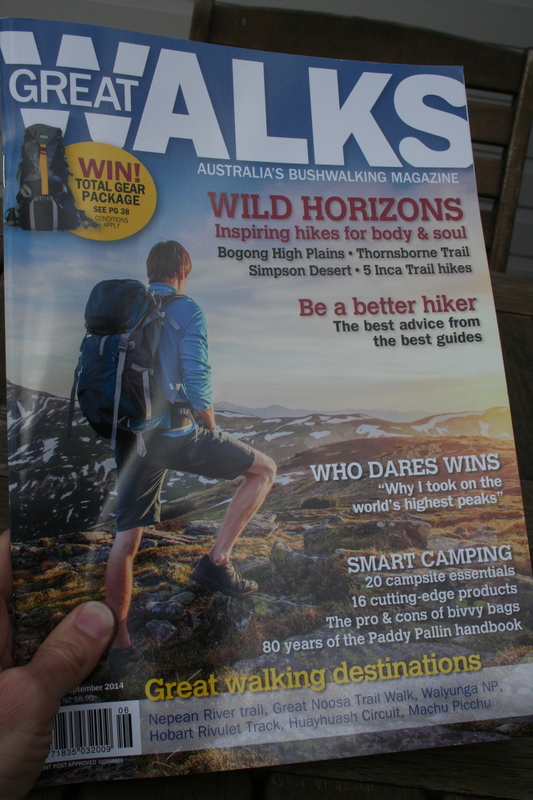 This entry was posted in General and tagged Brazil, Great Walks, hiking, Hinchinbrook Island, World Cup by Bec H. Bookmark the permalink. Hey there’s no stopping you gals now! Himalayas hiking for the 50th!? If we start our preparations now, we might just be ready in time Laura!